An official tweet from the Resident Evil Twitter account earlier today teased a Nintendo Switch release for three of the series’ titles. 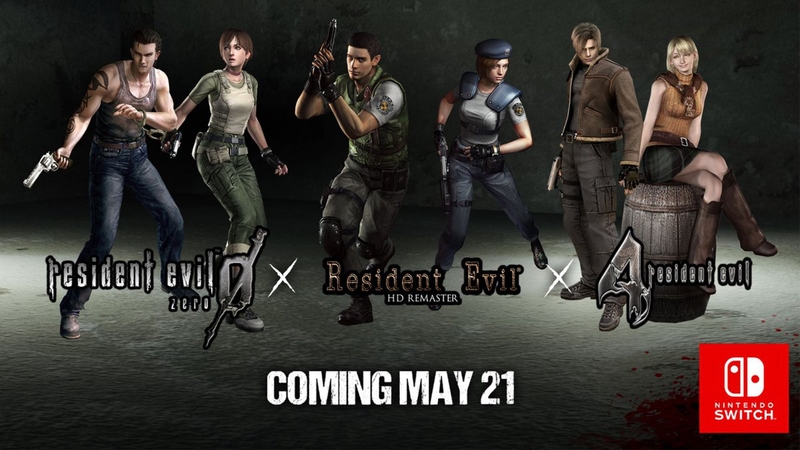 Indeed Resident Evil 0, 1, and 4 will be making their way to the Nintendo Switch eShop on May 21, 2019. For players in North America, a retail bundle titled Resident Evil Origins Collection will also be made available. This will contain Resident Evil 0 and 1. It would appear that the fourth title will not be a part of that physical edition as the tweet does not make mention of it. Pre-orders for the eShop versions will open on February 28th with more information to follow on the physical bundle. For more information, take a trip to the series’ official website. Also, be sure to stay tuned as more information is made available.